Hillsborough County, Florida is a part of a vast metropolitan area that is comprised of some of the states most beautiful parks, wetlands and lakes. 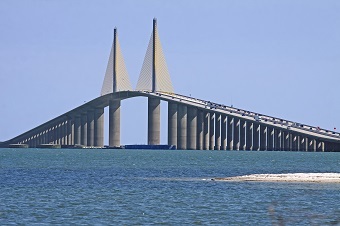 Hillsborough County FL Real Estate options are located within Florida's mid-west region. Residents of Hillsborough County Homes and Hillsborough County Properties enjoy the area for its large network of community resources, outdoor recreation, and fresh agricultural commodities. Additionally, the Hillsborough County Home Buyer has access to great art venues and activities, social services, and a great school district. Spanish explorers within the 16th century are first credited for exploring and mapping out the diverse region around Hillsborough County FL Homes. The area was created by combining both Monroe and Alachua counties in 1834. Although a tiny log cabin used as courthouse was burned in the Second Seminole War, the current courthouse of Hillsborough County, Florida opened its doors in 2004. Today, new residents of Hillsborough County Homes for sale can explore more of the area's history at places of interest, such as the Tampa Bay History Center, the Henry B Plant Museum, and the the Ybor City State Museum. Other historical places of interest near Real Estate in Hillsborough County includes the Glazer Children's Museum, the Museum of Science and Industry, and the St. Petersburg Museum of History. On a yearly basis, the parks, recreation and conservation department near Hillsborough County Real Estate operates more than 170 neighborhood-based parks. The area boasts more than 720 miles of recreational trails, more than 260 athletic fields, and more than 60,000 acres of protected lands near Homes for sale in Hillsborough County. With almost a dozen regional parks and more than 35 recreational centers, residents of Hillsborough County Homes can enjoy everything from horseback riding and festivals to nature studies and swimming. The Hillsborough County Home Buyer can also enjoy camping, cultural events, boating, canoeing, and bicycling within the area. Some of the most popular activities and attractions near Hillsborough County FL Homes are located within the county seat of Tampa. For instance, kids and adults enjoy Tampa activities at places such as the Westchase Golf Club, the Florida Aquarium, and Bok Tower Gardens. 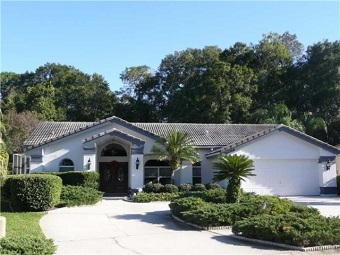 Fascinating attractions such as the Lowry Park Zoo, Ellenton Premium Outlets are also popular for homeowners of Hillsborough County Properties. From Tranquility Balloon Rides to Adventure Family Motorsports, Real Estate in Hillsborough County is surrounded by a great mix of family attractions. Hillsborough County offers many types of fun community galas, from folkloric festivals to pirate celebrations. Hillsborough County residents enjoy annual events such as the Puerto Rico Cultural Parade of Florida, the Annual Guavaween Mardigras Festival, and the Florida Strawberry Festival. Events at the American Victory Ship Mariners Museum, Florida Farmers Markets, and the Annual Gasparilla Pirate Fest are also worthwhile events. Hillsborough County offers a vibrant Gulf Coast life style. If you're thinking of a move to Hillsborough County, call The Tampa Home Team, 813-766-3403. This Homeward Real Estate real estate team led by Sharlene Woodis and Doug Katulich are experienced pros who know Hillsborough County and the Tampa Bay market. 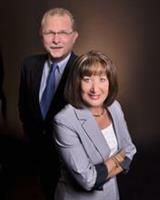 They have the latest real estate deals and can help you come home to Hillsborough County!